Labor Leader Bill Shorten has outlined a $118 million package aimed at veterans and their families. Worldcrunch.com / THE WIRE *ODISHA* — On a hot summer afternoon in March, a surprise awaited 68-year-old Pramila Bisoi from Cheramaria village in Odisha's Ganjam district. 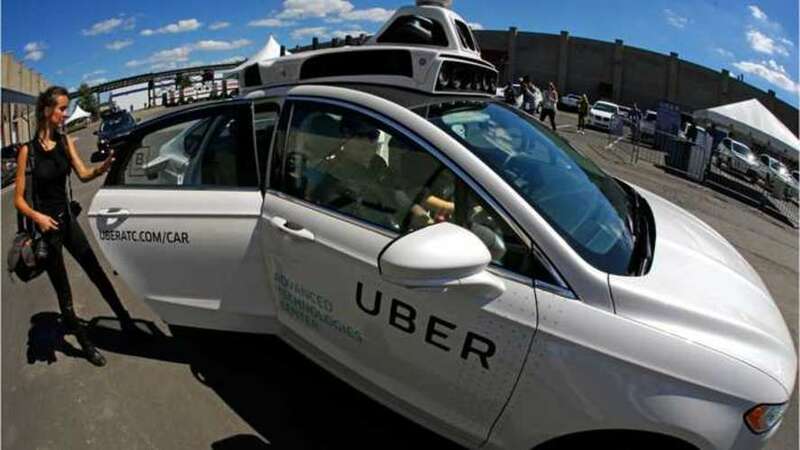 After a brief telephone..
by Alice Monroe - Following a tumultuous few years for the taxi-hailing brand, Uber looks set to launch itself on the stock market with a lucrative investment of at least $1 billion. The reason for..
What leaders Scott Morrison and Bill Shorten and their teams were up to in the federal election campaign. Labor Leader Bill Shorten has called a social media campaign that his party would introduce a death tax a lie. Labor Leader Bill Shorten has tried to change the conversation around his ambitious climate change policies, describing them as investments rather than costs. Prime Minister Scott Morrison is set to announce $165 million in funding for health as the election campaign continues. The battle to win the hearts and minds of Australian voters is also being fought on social media. Here's what's getting Australians talking. Worldcrunch.com / RUE AMELOT *PARIS* — Paleo, keto, vegan, pescatarian. There are so many ways we can choose what, and what not, to eat. Give or take, I choose to eat roughly 160 grams of..
Labor has reportedly written to Facebook demanding it take action on a campaign on the platform is says is spreading lies. A feast of Easter food has been delivered to the crew aboard the International Space Station, including pork chops with gravy and lemon meringue pudding. Worldcrunch.com / SUDDEUTSCHE ZEITUNG *TURKANA COUNTY* — Sand and scree wherever you look. Bushes that cling with difficulty to red, dusty earth that has long seen no water. Turkana County, in..
Adam O'Brien spent more than a decade working with Craig Bellamy in Melbourne but now he has the Sydney Roosters' NRL attack humming. Facebook says it has fixed a glitch where the email contact information of 1.5 million of its users since May 2016 was 'unintentionally uploaded'. Facebook has cracked down on far-right hate groups in the United Kingdom, banning several sites and also posts which offer praise for them. The PFA has urged professional players in England and Wales to post a #Enough graphic on their social media platforms before the boycott begins at 0800 GMT on Friday. Bryan Goldberg positions himself as a contrarian. While many media owners look to sell, he’s on the hunt for bargains — and he’s finding a few he believes in. While he was outbid by Great Hill..
Want to read the big report? No, not the Mueller Report, the document many have thirsted after for months as the special counsel investigated Russia’s influence on the 2016 elections. (You can find..
“People think nothing is happening, but that’s the farthest thing from the truth. Everybody is talking to everybody.” That’s the best quick summation I can offer of the first few months of what..
Empower Clinics Inc (CSE:CBDT) (OTCMKTS:EPWCF) is partnering with a leading digital cannabis analytics company to place educational kiosks in each of its clinics to provide information, data and..
Afghanistan is the world's top grower of opium, and the crop accounts for hundreds of thousands of jobs. Comedian Ben Jenkins just wanted to know, once and for all, what his Uber rating was...he ended up getting a lot more. Media advocacy group Reporters Without Borders has released a report that says journalistic freedom around the globe has regressed. Melbourne Storm chairman Bart Campbell has claimed in the Federal Court that the NRL's controversy-marred off-season has cost his club $500,000 per year. 88 Energy Ltd (LON:88E) continues to look forward to a potential farm-out deal for its Project Icewine conventional project area in Alaska. The explorer, in a quarterly update, said it expects that the..
Opposition leader Bill Shorten has deflected questions about whether or not a Labor federal government would bail the NT Government out of its budget problems. Pantoro Ltd (ASX:PNR) is delivering strong margins with cost reductions at its Nicolsons Gold Project in the Halls Creek region of WA and this is placing the company in a strong cash position. The..
Peppermint Innovation Ltd’s (ASX:PIL) international bill payments service for Australian customers has gone live via its Bizmoto website - www.bizmoto.com.au. The site, which is principally targeting..
An anti-Adani convoy travelling the length of Australia has reached Melbourne as the Queensland Resources Council criticises the protest. Next Science Limited (ASX:NXS) listed on the ASX today after raising $35 million in an initial public offering (IPO) last month to commercialise its anti-bacterial proprietary technology. Founded in..
As rich lavish cash on Notre Dame, many ask: What about the needy? Does the generosity of France's billionaires in pledging to fix Notre Dame highlight the country's inequality? Prime Minister Scott Morrison says he hasn't ruled out nuclear power, but the industry would have to stand up economically and not rely on the government. Alliance Resources Limited (ASX:AGS) has completed a scoping study that confirms a positive and robust gold project at Weednanna, west of Whyalla in South Australia. The independent study incorporates..
Scott Morrison and Bill Shorten are finally facing some testing on their policies at the end of their first week of election campaigning. Jobs Minister Kelly O'Dwyer says changes to taxes proposed by Labor could threaten Australia's progress in creating jobs. A pastor has apologised for taking a lesson about Easter "too far" after footage of the bizarre exercise was posted to social media. Blackham Resources Ltd (ASX:BLK) has a new substantial shareholder with MACA Ltd (ASX:MLD) now holding more than 386.4 million shares for a 12.45% stake. This status was reached by the Welshpool,..
What has happened over the first eight days of the 2019 federal election campaign. Vango Mining Ltd (ASX:VAN) has defined a new high-grade mineral resource for the Trident gold deposit within its wholly-owned Marymia Gold Project in Western Australia. The JORC 2012 resource amounts..